Basically, he says that implementing toString is bad from a performance perspective. 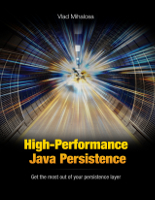 Well, that might be the case in OpenJPA, but in Hibernate things are a little bit different. 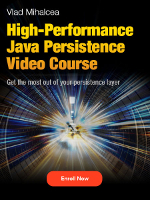 Hibernate does not use bytecode enhancement by default. Therefore, the toString method can use any basic entity attributes (that are needed to identify a certain entity in logs) as long as the basic attributes are fetched when the entity is loaded from the database. 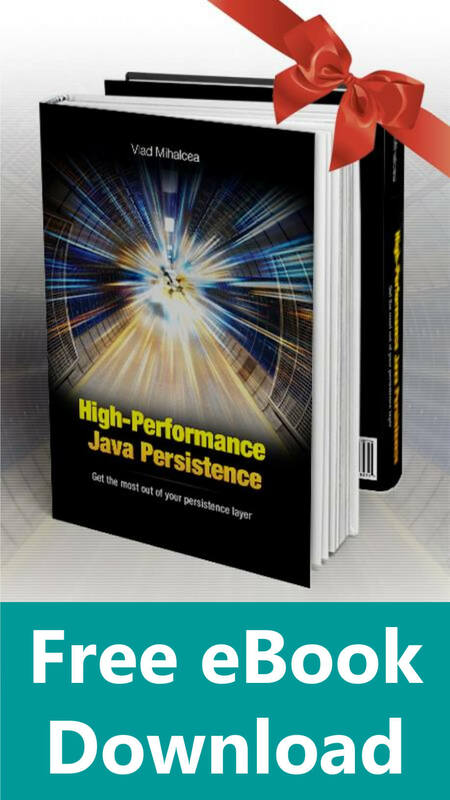 Nevertheless, Hibernate allows attributes to be lazily loaded, but even then, the bytecode enhancement is not necessarily the best approach. Using subentities might be a better alternative, and it does not even require bytecode enhancement. oh, and the same applies for hashCode() and equals() in #JPA entities: also almost always unnecessary and creating damage. This statement is wrong, as this post will demonstrate in great detail. 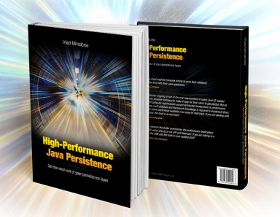 The first three are rather intuitive, but ensuring consistency in the context of JPA and Hibernate entities is usually the biggest challenge for developers. As already explained, equals and hashCode must behave consistently across all entity state transitions. Natural identifiers are assigned by a third-party authority, like a book ISBN. Database-agnostic UUID numbers are generated outside of the database, like calling the java.util.UUID#randomUUID method. For more details about the @NaturalId annotation, check out this article. The database-generated identifiers are a different story. Because the identifier is assigned by the database during flush-time, the consistency guarantee breaks if we implemented the equals and hashCode based on the identifier just like for assigned identifiers. This issue was detailed in my article, How to implement equals and hashCode using the entity identifier (primary key). So, the hashCode yields the same value across all entity state transitions, and the equals method is going to use the identifier check only for non-transient entities. The only time when you’ll see a performance bottleneck due to a single hash bucket is if you have a large collection of tens of thousands of entries. But then, it implies that you fetched that large collection from the database. 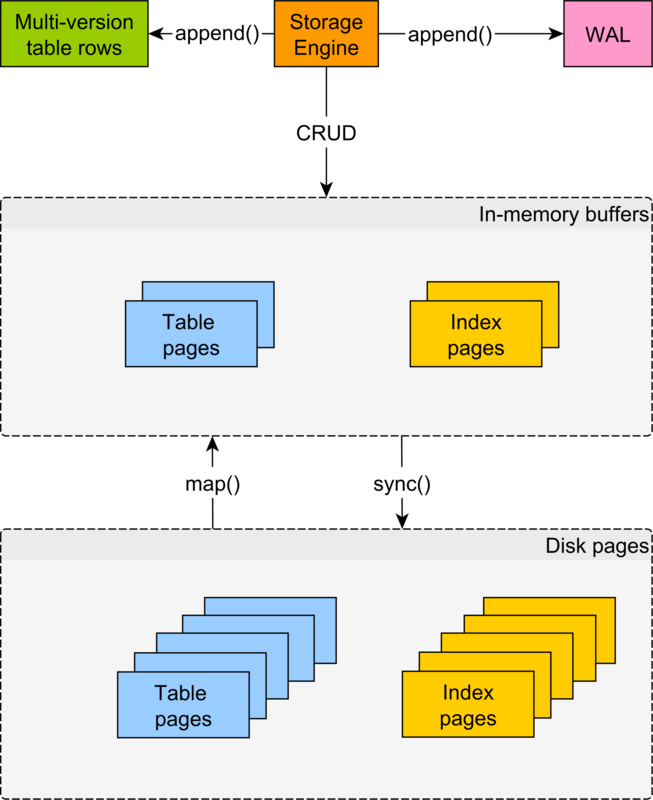 The performance penalty of fetching such a collection from the database is multiple orders of magnitude higher than the single bucket overhead. That’s why you never map large collections with Hibernate. You use queries for those instead. But then, for small collections. Also, most of the time you don’t even need to use a Set or a Map. For bidirectional associations, List(s) perform better anyway. Mark has written a blog post to justify his beliefs. In his article, Marks says that the database-generated identifier equality implementation does not work for merge or getReference(). Even Vlad’s advanced version does have holes. E.g. if you use em.getReference() or em.merge(). How to implement equals and hashCode using the JPA entity identifier (primary key) article demonstrates that this equals implementation works for detached objects. That was the whole point of coming up with such an implementation. We want it to work across all entity state transitions. As for getReference(), there’s a check for that as well. It’s all on GitHub. There’s one argument which I agree with, and that’s about making sure that the equality check is using only entity attributes that are immutable. That’s why the entity identifier sequence number is very appealing. And with the equality implementation method that I offer you, you can use it safely. Why do you need equals() and hashCode() at all? 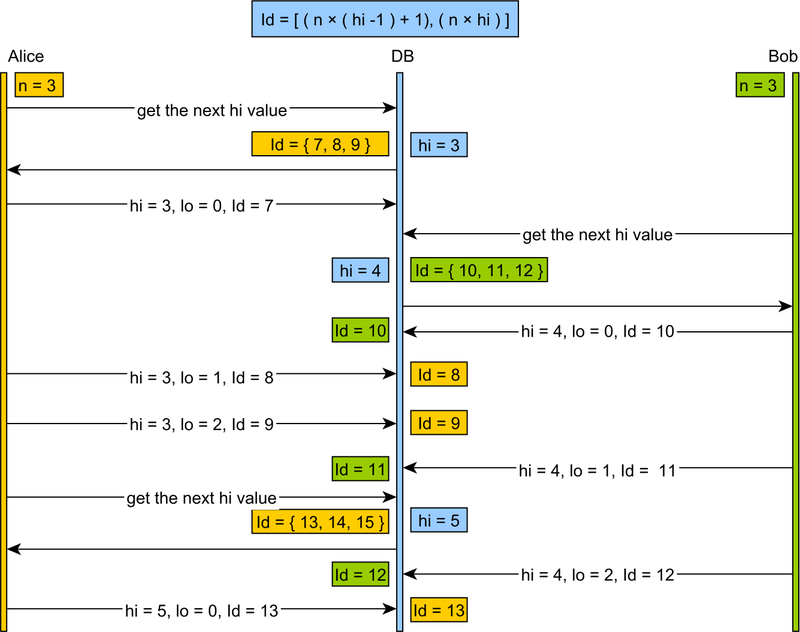 If you don’t implement equals and hashCode then the merge test will fail, therefore breaking the consistency guarantee. It’s all explained in my How to implement equals and hashCode using the entity identifier (primary key) article, by the way. Not only that you should NOT avoid mixing detached and managed entities, but this is actually a great feature that allows you to hold on detached objects, and therefore prevent lost updates in long conversations. So, having a cache is really a great idea, but *please* do not store JPA entities in the cache. At least not as long as they are managed. 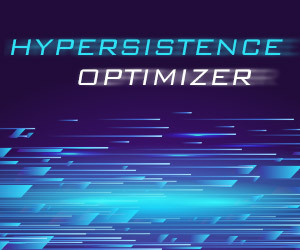 Hibernate strives to deliver strong consistency. That’s why the READ_WRITE and TRANSACTIONAL cache concurrency strategies allow you to not worry about such inconsistencies. It’s the second-level cache provider that guarantees this isolation level. Just like a relational database system. Only NONSTRICT_READ_WRITE offers a weaker isolation level, but the non strict naming choice is self-descriptive after all. The best advice I can give you is that you should always question every statement that you read on the Internet. 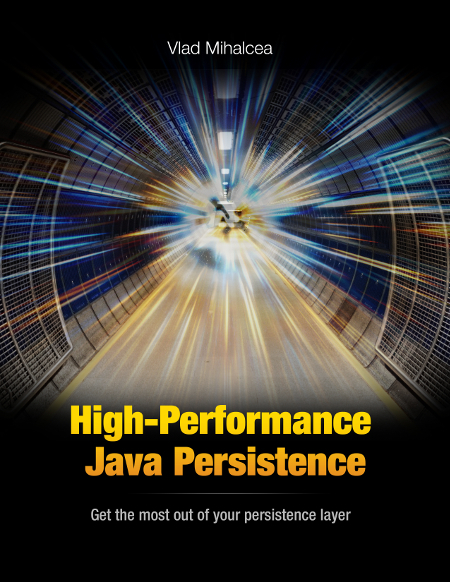 You should always check every advice against your current JPA provider implementation because details make a very big difference. Do you have a complete runnable version of the code in this article? Also, where is ‘Identifiable’ defined? Sure. Check out this video presentation which shows you where to get the examples and how to run them. Why do you cast ‘o’ to a ‘Post’ in the following code? Also, it was interesting in either in this article or the other one you wrote on equals/hashcode how you should just use Lists over sets and hashmaps for jpa. Is there ever a need for Sets in jpa? You also said that List’s were more performant. Why is that? Thanks, I fixed the issue. 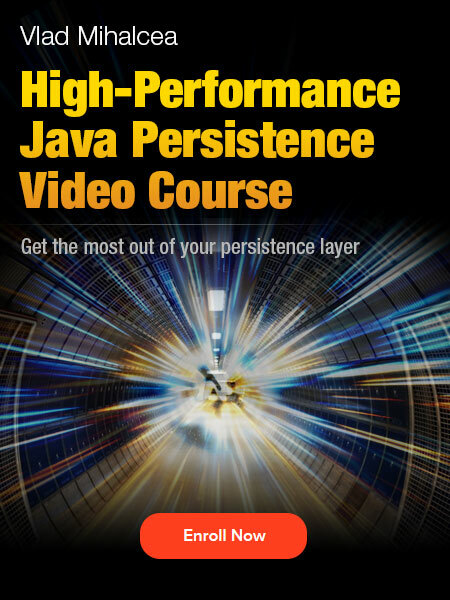 For more details about this topic, check out the Relationship module of my High-Performance Java Persistence video course. Hi @vladmihalcea. You had to replace “Post” to “Book”, not remove the cast. This line fails: “return id != null && id.equals(o.id);” because Object does not have a property id. Anyway, this post was helpful. Good point. I updated the class since it was not reflecting the IdEqualityTest on GitHub.